So, I've been in the process of clearing out photos off of my SD cards, and I've come across a lot of photos that I had intentions of using in blog posts but had forgotten all about! I will try to get them on the blog over time. First up, here are some photos taken in June at Cruzado. 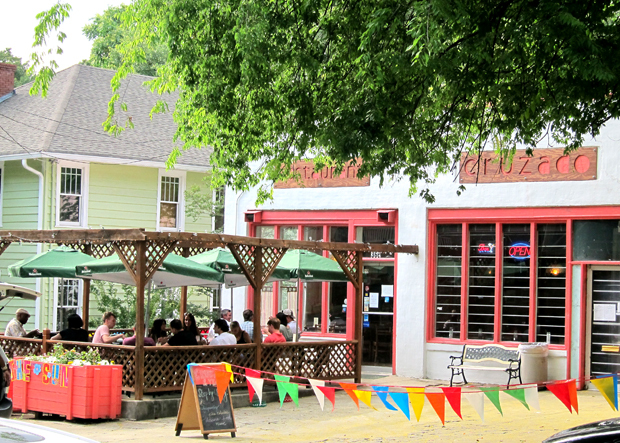 Cruzado is this cute and quaint little Cuban (mostly)/Latin/Caribbean restaurant tucked away in a residential neighborhood in Midtown Atlanta, with really yummy food. What really made me like it was just the vibe of the atmosphere/neighborhood. Let me be honest, I use to live within walking distance of this location when I first moved to Atlanta, so I am a bit partial. Midtown is the shizzz! Anyway, we had decided to try it out during their 1 Year Anniversary celebration. We chilled out on the patio, tried a few tapas and drank a bunch of mojitos and caipirinhas. The drinks were perfect, and the dishes I did try were great, and like I mentioned, the laid back, "neighborhood joint" atmosphere couldn't be beat. Prices were great too--nothing outrageous. Next door to the dining room, they also have a hookah bar for more lounging if that's your thing. You could also take a quick stroll a few blocks away to Piedmont Park after your meal to walk off all of that Latin-y goodness. 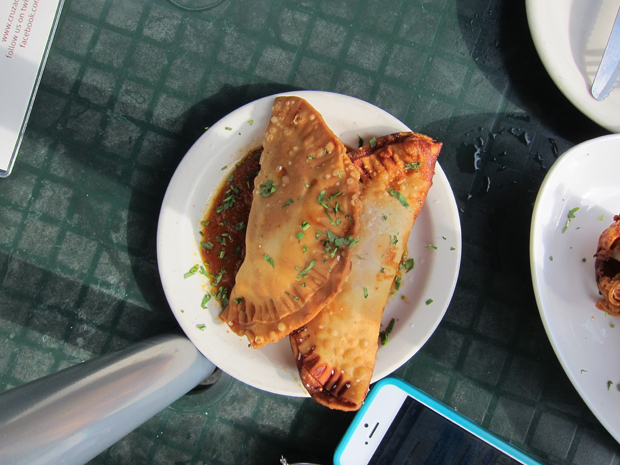 Chicken empanadas--definitely a HIGHLIGHT of the tapas. Definitely check it out if you're ever in the neighborhood! Those stuffed plantains look amazeballs! This place is worth checking out. Definitely on my to-do list for vacation. 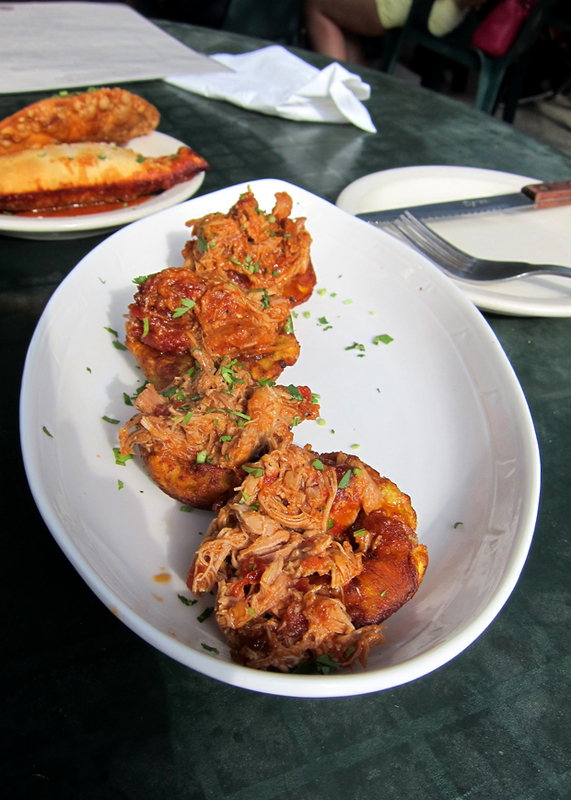 Drooling over those pork stuffed plantains! That is a really cool spot! I went there for a Curls and Cocktails event once, and I had so much fun!